I’m confused. How can he suspect depression after one conversation? Of course, he can’t know for sure. Mental illness is difficult to diagnose. Careful screening and training is a must. One may assert depression for other reasons; a couple of down days, a lack of motivation towards faith and life in general, or sometimes a serious excuse for a disinterest in a close relationship with Christ or all out rejection of the gospel. I sound harsh. Who am I to understand people’s hearts and lives (I don’t always understand mine)? My job is not to pontificate that some people don’t have depression. Situations exists (difficult and stressful times in one’s life) that lead to depression. It’s the real deal. I don’t own a corner on this topic and probably shouldn’t write about it. But we live in a culture (both in and out of the church) that fosters an indifferent attitude towards depression. And frankly, it weakens the legitimacy of mental illness and offends the battle 1 in 5 adults in the U.S. face. Depression is a bona-fide illness, one that is similar to a person who takes insulin for diabetes or breaks her leg. My husband is acquainted with outward indicators of depression because of me. I’ve had major depressive disorder for over a decade, and possibly, my whole life. We can’t know if Jean has depression. But regardless, she is hurting. She needs help. I locate her after the service and we find a place to talk. Jean is not the only one who asks this question. It’s in my veins every second, pumping doubt and fear to my heart and mind like blood. Lord, how am I supposed to live? And so I, and others like me, tend to cower in the back rows of churches, in the corner pews, or at home on Sunday mornings instead of worshiping with the family of God. The truth? We know that the stigma is wrong, but we tend to believe it anyway. God will deliver us if we ‘do’ more. What do people think about the gospel and depression? 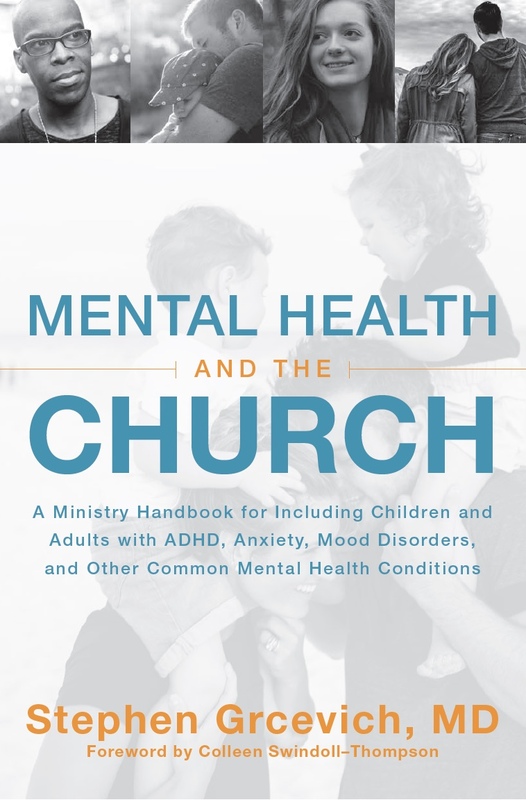 Sarah Collins and Jayne Haynes take the issue of one’s inability to be a Christian and depressed head on in their book, Dealing with Depression: Trusting God through the Dark Times as noted in this blog post from the Gospel Coalition. Collins and Haynes begin by “reassuring sufferers that being a Christian and being depressed are not mutually exclusive…” They way I read the interview, the authors note the vital role of the spiritual life in depression (I will add, it IS important). But they subscribe to the belief that although faith is a component of health, it’s not about Christians with mental illness praying harder, repenting of sin, trusting God more, and getting their spiritual act together. It’s crazy, really (bad choice of words), that people are still uneducated, biased, quiet, and judgmental. Close your eyes, open the Bible and point. Chances are you don’t have to read far to come across a person with a distraught soul. King David, Jonah, Job, Hannah, Paul. God used these people in big ways despite their afflictions. Since when did being ‘together and healthy” become signs of faith? What scripture backs up the theology? Is it terrible that it gives me comfort to know that someone in the Bible says this kind of stuff to God? God’s response is gracious. Elijah falls asleep and an angel of the Lord awakens him twice, providing sustenance through food and water. God comes close. He nourishes him. He sits with him. Pay attention to the story. What an amazing correlation to important elements of the gospel. ‘I am no better than my fathers,’ (realization of sin), God responds with grace (forgiveness), an Angel of the Lord (many commentators believe that this is Jesus) provides him food and water (communion with God through the bread and the cup). Elijah asks God to kill him. God saves him instead. He sits with him. Jesus has conquered death. He does not leave him or forsake him (Hebrews 13:5). Sit with them in the pain. Don’t fix, act, or judge. Don’t appease yourself by offering trite Bible verses and walking away. Nourish them with your presence (either near or far depending on how they are doing). Come close to them like God did with Elijah (a ‘stick-with-themness’). When appropriate (maybe when they are coming out of an episode. Maybe not directly. Pray about that one! ), point them back to Christ. Jean wipes her eyes and nods. How are Jean and I supposed to live? Remember that God came close through Christ and that through the gospel, he’s not going anywhere. Acknowledge that scripture is full of hurting, sick, imperfect people trying to serve a perfect Savior. Our healing is not up to us. God has a purpose with our lives. We are not a waste. “Even the apostle Paul said that in weakness we discover the glory, power, and grace of God.” – Scott Sauls. Church, believers, I urge you. Educate yourselves. Don’t dismiss. Sit with those among you with mental illness in word and deed. Find them at the back of the church or hidden in pews. Reach out to them at home on a Sunday morning. Affirm God’s love and presence in their lives by being a person who doesn’t judge or walk away. Search the scriptures and ask God to confirm the theology of weakness (illness) and grace. The theology of illness and grace is still a mystery to me. But I sat with Jean that Sunday morning, certain that Jesus was sitting with us, too. Gillian Marchenko is an author, national speaker, wife, mother, and an advocate for individuals with mental illness and special needs. Her most recent book, Still Life, is a remarkably authentic story of perseverance and faithfulness. Her candor in sharing her experience with depression will be of great comfort to many who have bought into the falsehood that their suffering has resulted from a lack of faith. Buy Still Life at InterVarsity Press, Amazon, Barnes and Noble, and bookstores across the country. 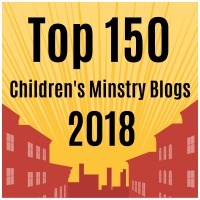 This entry was posted in Depression, Key Ministry, Mental Health and tagged Depression, Gillian Marchenko, Key Ministry, mental health, mental health ministry, the Gospel. Bookmark the permalink. The enemy always comes to us at our weakest point, if it’s depression or any mental health issues or any situational issue or weakness that’s where he’ll come in and whisper in our ear that we aren’t good enough or we shouldn’t be feeling this way when, in reality the bible says our joy comes from the Lord anyway, not from our mind or our heart, but it comes from the Lord there’s 2 different accounting systems there between mental health and the joy that we get from the Lord.